Which British Car Brand Builds The Best GT Car? The British really know how to build a cool GT car. Aston Martin has cemented itself as the premier British sports car company thanks to its many appearances in the James Bond franchise. 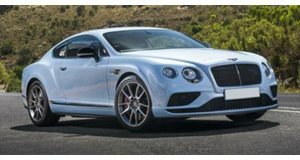 However, if you read the books, Bond actually drove a Bentley, maker of the Continental GT, which although technically British, uses various German components courtesy of parent company Volkswagen. 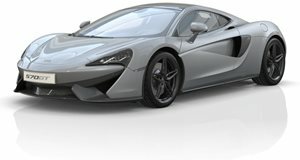 McLaren has also come along in recent years as a sports and supercar company, but has now moved into GT cars. So which is best? Auto Trader decided to find out which company makes the best British GT car. The candidates are the Aston Martin DB11, Bentley Continental and the McLaren 570 GT. 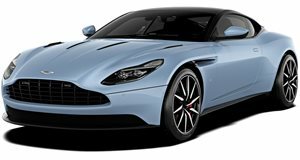 If the choice were up to us, we would go with the DB11 because it combines great power from a 5.2-liter twin turbo V12 and plenty of comfort thanks to a partnership with Mercedes-Benz. The McLaren is much more sporty thanks to a mid-engined layout with a twin-turbo 3.8-liter V8, and the Bentley is the softest of the three with its VW Phaeton roots. You will have to watch the video to see which car Auto Trader chooses, but you probably have your mind made up. If you want all-out sportiness, the McLaren is probably for you. If you want comfort, the Bentley is probably best. We think the Aston Martin combines these traits to create the best overall car.